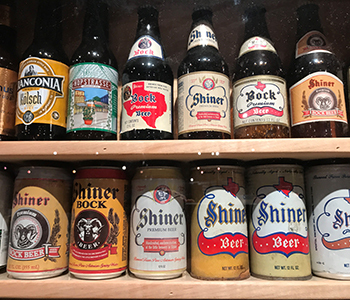 The UTSA Institute of Texan Cultures invites all its friends to a closing reception for the popular Brewing Up Texas exhibit. For more than a year, it has shown San Antonio’s beer tradition and history, from the small town brewer, to industrialization, to today’s craft brewing renaissance. Popular programming including seasonal beers and the roles of women in the brewing industry followed. Exhibit partners who sponsored Brewing Up Texas and made the exhibit possible will contribute products for sampling at this closing event. Exhibit curators will attend to answer any final questions on San Antonio’s beer connections. 21+ only. Adults (18 – 64) $10; seniors (65+), college students, and military $8; UTSA and Alamo Colleges free.